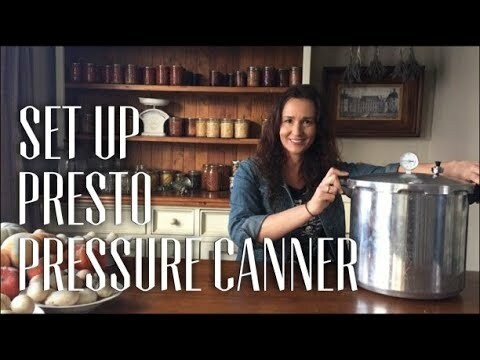 Pressure canning is the only method recommended safe by the U.S. Department of Agriculture for low-acid foods. Doubles as a boiling water canner for preserving fruits, jams, jellies, pickles and salsa in pint and half pint jars. Also handy as a large capacity pressure cooker. Constructed of warp-resistant, heavy-gauge aluminum for fast, even heating. Works on regular and smooth-top ranges. Deluxe pressure dial gauge registers the complete range of processing pressures. This precise measurement is especially important at higher altitudes. Air vent/cover lock allows pressure to build up only when the cover is closed properly and prevents the cover from opening until pressure is safely reduced. Liquid capacity: 23 quarts (21.8 liters). The only method recommended safe by the US Department of Agriculture for canning vegetables, meats, poultry, and seafood. Constructed of warp-resistant heavy-gauge aluminum for fast, even heating; Works on regular and smooth-top ranges; Extended 12-year limited warranty. Deluxe pressure dial gauge registers the complete range of processing pressures; This precise measurement is especially important at higher altitudes. Extra-large size is great for big canning jobs; Includes canning/cooking rack and complete 76-page instruction and recipe book!